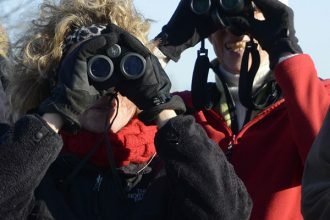 IndiGo Birding offers all kinds of tours, from all-day birding trips to short natural history hikes in the nearby forest. What I do most is customized tours, designed specifically for you and your group. The cost for each personalized tour is calculated per tour, not per person. The cost of a tour ranges from $125 to $250, depending on the length and location of the tour. The cost does not change if you are by yourself or if you have a group of five. Most of the tours have a suggested length so that you know the approximate cost as you consider booking a tour. Payments are due on the day of the tour (cash or check preferred, credit cards accepted). The cost of large group tours and public presentations are calculated on an individual basis. Depending on the length of the tour, meals can be planned for the tour group. We can stop at a convenient restaurant to eat or pack our own lunches. I will provide snacks and drinks on all tours, but you are welcome to bring any snacks or drinks that you prefer. Celestron is the official sponsor of IndiGo Birding Nature Tours! 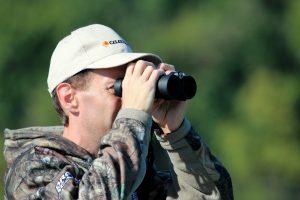 Several models of Celestron binoculars and a Celestron Regal M2 80ED spotting scope will be available for your use. 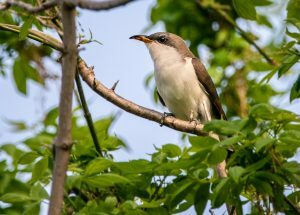 Using great optics can truly change your birding experience! In case of inclement weather, a tour can be rescheduled if a suitable date and time can be found for both parties. If that is not possible, then the tour will be canceled at no charge. I provide transportation from Bloomington for groups of 5 or less, which is the number my Honda Pilot can seat comfortably. For groups outside of Bloomington, I can either meet you at the destination or pick you up along the way. I will gladly customize the logistics for each individual tour.